INTO Drew University’s location in Madison, New Jersey puts you less than hour from the “Big Apple”, New York City. Business students like Kehong, AKA Baker, from China can take advantage of living 47 minutes from Wall Street. 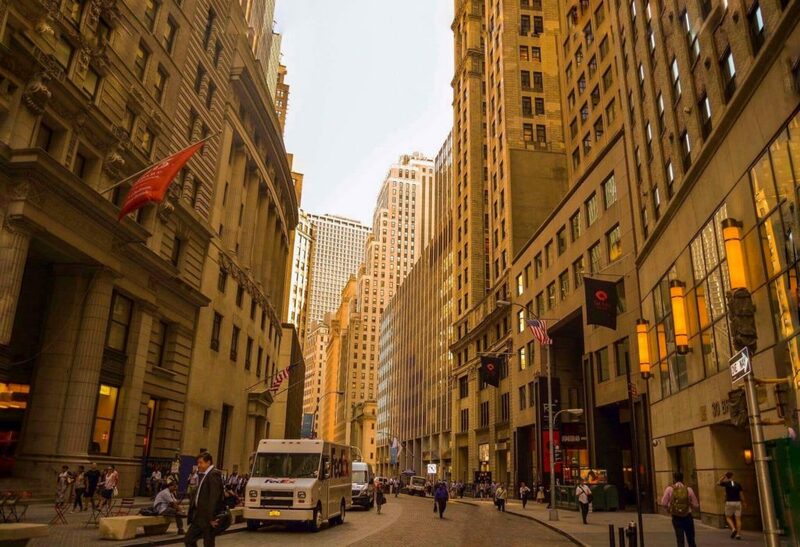 Drew University even offers a Wall Street semester program where you study in the famed financial district and get the in-demand skills you’ll need on your résumé. 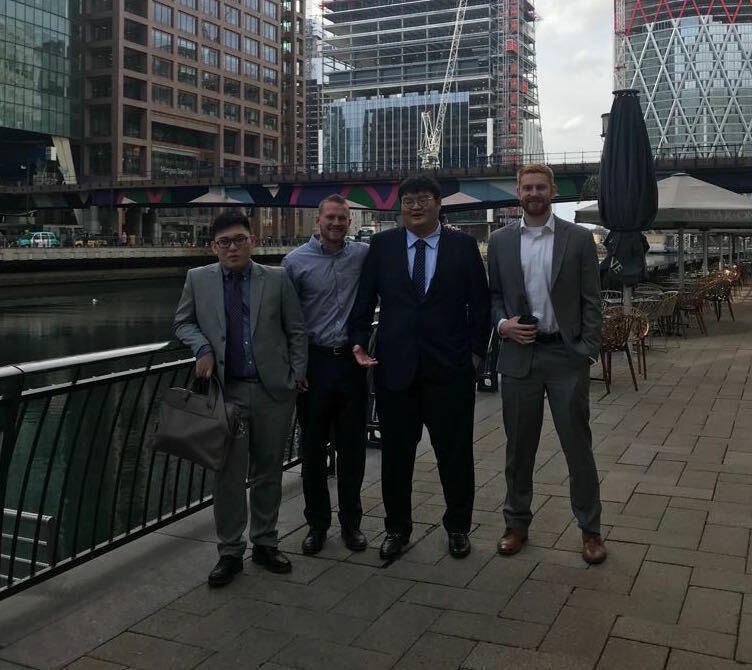 Only four months after graduation, Kehong accepted a position with NASDAQ, the worlds’ second-largest stock exchange, as a specialist and analyst in the listing service department. Let’s take a look at his study abroad journey from his first days at INTO to landing a top job in Manhattan. Baker visiting London! Can you spot the famous Tower Bridge in the background? 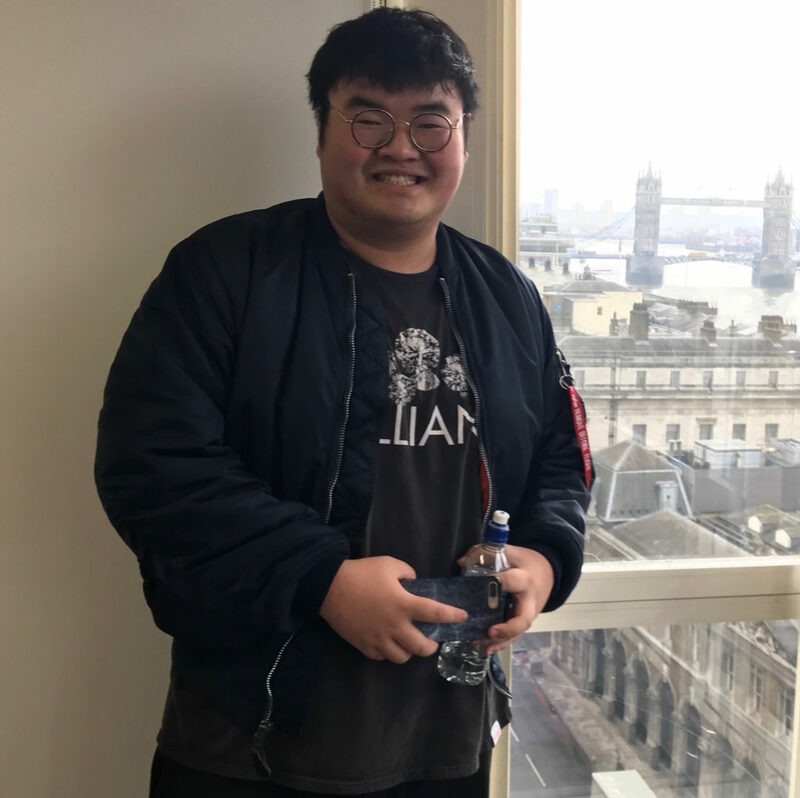 Building your English language skills at a top US university like Drew is a great way to gain confidence for writing academic papers and public speaking both during your studies and in your future career. Kehong was able to easily transition into his business degree program with the added language and academic support at INTO Drew. What was it like when you first came to the US? What makes Drew stand out? Wall Street, New York City provides thousands of opportunities for business students. Drew offers six different Semester in the City programs focusing on performing arts with the New York Theatre, diplomacy with the United Nations and finance on Wall Street. Students from any field can apply to the various Semester in the City programs to get real-world work experience in the city with the most Fortune 500 headquarters in the nation. Were you able to take advantage of Drew’s Semester in the City programs? What did you get out of the Wall Street Semester program? Drew hosts an annual “Shark Tank” event. “Shark Tank” is an American reality television show where contestants pitch business proposals to investors. Drew’s take on “Shark Tank” inspires students to start thinking about launching their own business and all the steps it would take. Did you participate in Drew’s Shark Tank competition? The most important things I learned about business came from what I learned outside the classroom. At the end of my junior year, I was honored to participate in Drew’s annual “Shark Tank” competition. With a student teacher ratio of just 11:1, your professors will really get to know you and you them! Small class sizes with expert faculty mean you really get to know your professors and they can help guide you towards your academic or professional goals. One of the benefits of studying at a liberal arts university like Drew, that maintains an 11:1 student-to-teacher ratio, is that you’re able to make meaningful connections with your professors. See how Kehong’s ongoing conversations and networking with his professor helped him with his job search and preparing for interviews. Which professor was key to your success at Drew and beyond? What advice did Professor Tomljanovich give you for working in finance? Kehong (second on the right) and his colleagues. 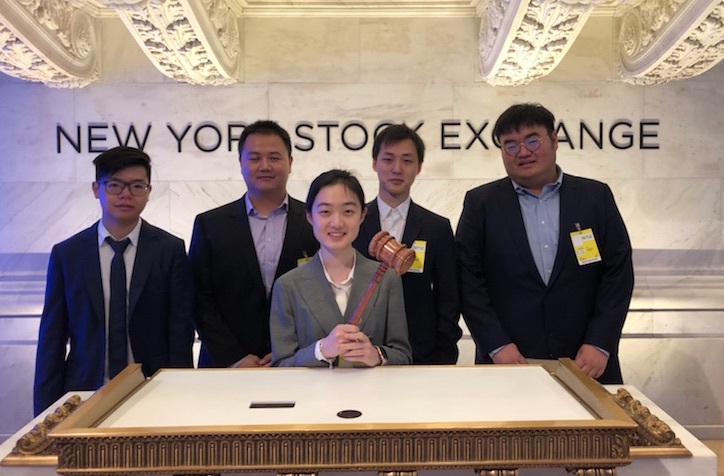 After completing the INTO Drew pathway program, double majoring in Business and Mathematics, and participating in the Wall Street Semester, Kehong’s study adventure at Drew University led to a job at NASDAQ, the second-largest stock exchange in the world. How did Drew help prepare you for your future? You can read about more of our #INTOfriends successes on the blog. Find out about Alisa’s alumni story: from Russia to the United States and understand how to apply for a US university. 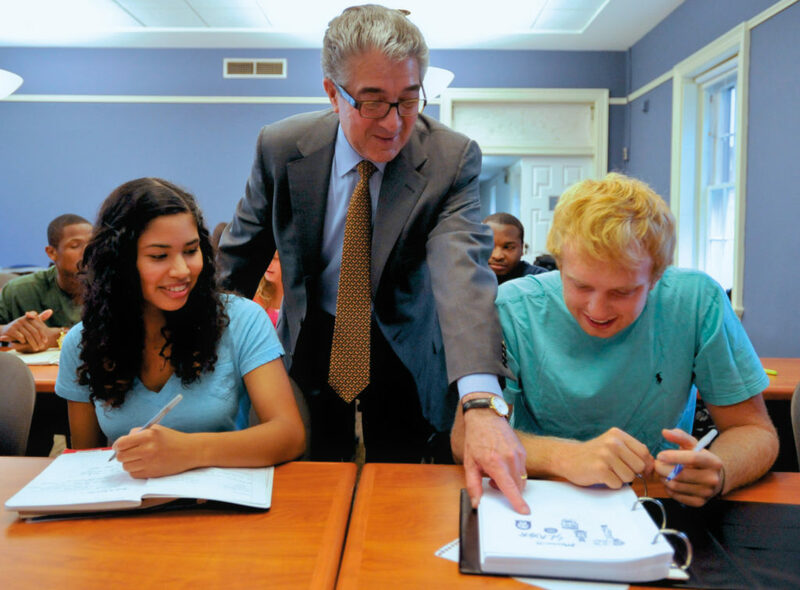 Find out more about Drew University on our website. Stay up to date with student life at INTO Drew University follow us on Facebook, Twitter, Instagram and YouTube. Hey, I work in Digital Media at INTO in San Diego. As a journalist and storyteller, I love learning and writing about our outstanding students. I’m an aspiring singer-songwriter and comedy fanatic. Next story How to improve your IELTS score – fast!